It seems we humans just aren’t content to let ice cream be. 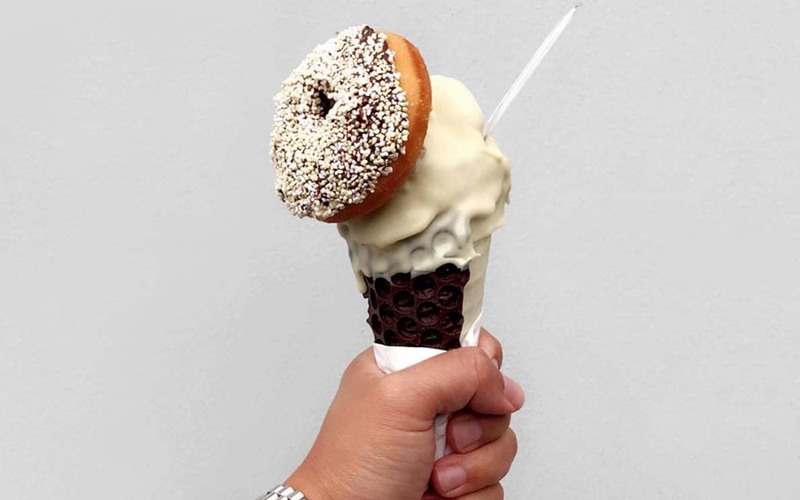 In the last year alone, we’ve seen pizza, bacon, and even bug-topped varieties and, now, an ice creamery in New Zealand is making squid-shaped cones happen. Complete with chocolate mantle and tentacles, the edible sea monster is available from Giapo Kitchen in Auckland. It was reportedly created to celebrate the 10th anniversary of the arrival of an actual Colossal Squid at the Museum of Te Papa Tongarewa. “After a visit to Te Papa to see the squid with his five- and seven-year-old children two years ago, [Giapo chef Giapo Grazioli] set about creating this delicious and surreal masterpiece,” a representative wrote on the ice creamery’s blog. The frozen squid’s head and tentacles were created using 3D-printing technology, meaning they’re hollow rather than solid – a good or a bad thing, depending on how you look at it. Grazioli is known for its imaginative and over-the-top ice-cream creations, including past tributes to Auckland’s Sky Tower and NZ’s beloved earth-bound bird, the Kiwi. You can try them for yourself at 12 Gore Street, Auckland. And, to see the source of Giapo’s inspiration, head down to the museum at 55 Cable Street, Te Aro, in Wellington. It’s open 10am to 6pm daily and general admission is free. Check out Qantas flights to book your next adventure in Auckland.